Welcome to the York County Beekeepers Association Member Resources page. Below you will find links to information you might find useful as a member of our organization. Get the latest copy of assocaition by-laws (pdf version). Interested in beekeeping but have no idea where to start? Why not consider one of our beekeeping classes designed specifically for beginners? Exclusively designed for York County Beekeepers Association members, the YCBA Guild helps beekeepers assess their level of knowledge and recognizes their achievements. Searching for hives, bees or other beekeeping equipment? 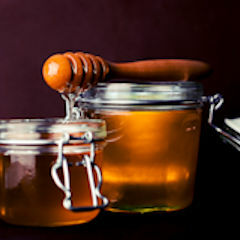 Find a list of items offered by fellow beekeepers. Look through a list of valuable links that offers valuable information about beekeeping. Get access to hive inspection sheets, apiary registration forms and other important documents. Get access to past association meeting minutes.